Living rich isn’t always about making the most money. Truly living rich is when you make the most out of every day. It is what it means to live it forward into your best life and calling. 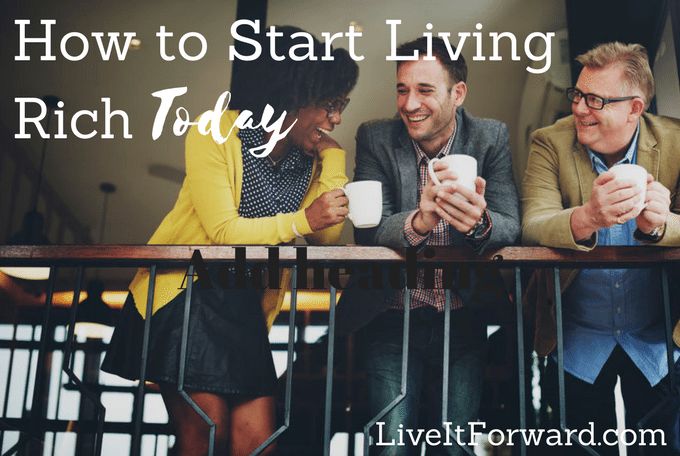 In episode 048 of The Live It Forward Show, Kent Julian gives ten ways you can start living rich today.